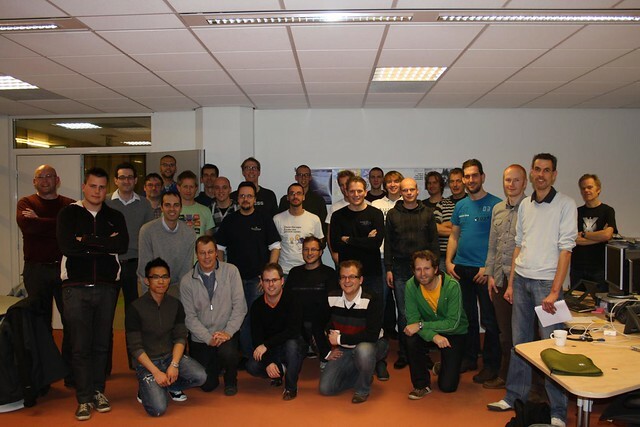 On Saturday the 8th of December Devnology participates in the Global Day of Coderetreat. After last year's succesful edition we have an edition in Amsterdam this year!. For lack of participants we've closed registration for the Rotterdam and Tilburg edition. Please all come to Amsterdam for a 'classic' code retreat! We will be doing the classic ‘game of life’ as an exercise. In a number of rounds we will do the same exercise, each time with different constraints. You get to work with a different partner each round, so you can learn a lot in a day. After each round we will demonstrate our work to each other and discuss challenges and surprises we had while doing the exercise. You can choose the programming language you want to work in. It is handy if you bring a laptop with your favorite development environment. If you don’t have a laptop, that is no problem. You can pair with someone who brought a laptop, or use one of ours; we’ll provide Ruby, Python, C# and Java to work with. If you feel more adventurous you can pair with one of the facilitators to do exercises in Clojure, Scheme or Smalltalk. Marc Evers, Rob Westgeest and Willem van den Ende will be present to facilitate.